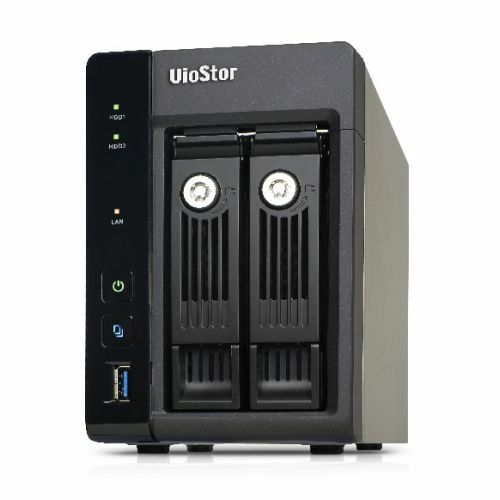 The QNAP 2-bay VS-2208 Pro+ VioStor NVR, available in a tower form factor with 4 channels, is designed micro-size with rich functions to convey high cost-efficiency for SMB and SOHO users. Compact but fully loaded with advanced features, the VS-2208 Pro+ series supports Full HD 1080P Local Display, built-in alarm GPIO for enhancing security management, QSCM Lite for central management of multiple NVRs, and more. Powered by a Quad-core Intel® 2.0GHz processor(burst up to 2.41GHz) and energy-efficient 4GB DDR3L memory, the VS-2208 Pro+ delivers quality performance with up to 180 Mbps throughput to ensure steady recording from multiple megapixel IP cameras. The VS-2208 Pro+ supports Single/ RAID 0 (disk stripping)/ RAID 1 (disk mirroring)/ JBOD/ Linear configurations and hot-swapping to allow replacing hard drives without interrupting system operations. QNAP’s advanced RAID recovery technology also assists if any healthy drives are accidentally removed from a degraded RAID volume. The system can be recovered to degraded mode by reinserting the wrongly removed hard drives so the data can still be accessible. The Global Hot Spare function also allows a drive to automatically replace a failed drive in a RAID volume, preventing data from being lost. Even without a PC, the VS-2208 Pro+ can be configured and perform monitoring tasks with the local display technology by connecting a USB mouse, USB keyboard and HDMI monitor to deliver lag-free live video monitoring in Full HD (1920x1080) resolution. QNAP local display technology provides a straightforward way to reduce the total costs in your business environment. The transcoding capabilities of the VS-2208 Pro+ allows users a practical solution for watching videos stored in centralized locations via the Internet when they have low-bandwidth connections. This feature adapts to bandwidth limits and/ or devices that lack the hardware or codecs to play video files by converting a video file to a lower resolution before transferring it across the Internet. The original high definition video is still retained without any changes being made to it, balancing the whole surveillance system for local recordings and remote playback. QSCM Lite is a free app provided by QVR that allows you to easily deploy up to 16 QNAP NVRs and 256 cameras and conduct central monitoring, playback, and management. With no extra server hardware required, QSCM Lite can easily turn the VS-2208 Pro+ into a CMS server. The powerful and pioneering QSCM Lite can be freely downloaded from the integrated NVR App Center.